At last, here is the finished framed star quilt! I went with aqua binding, and I think it adds a nice cheerful touch. Binding is almost my favorite part of quilting. 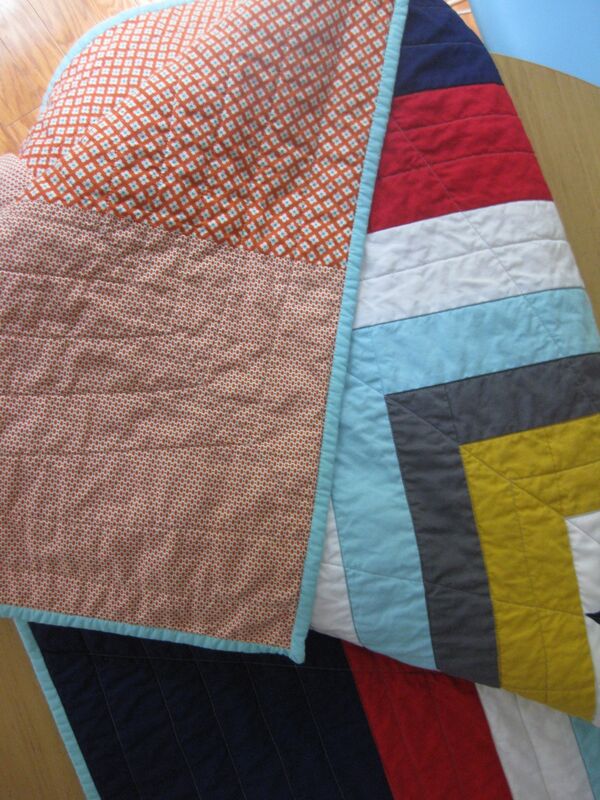 I love how it pulls a finished quilt together and I really enjoy the hand stitching. I started out crafting as a knitter and sometimes I miss sitting on the couch and working on a project. I bound this quilt while watching the US Open round of 16–perfect. I am very happy to be linking up with SwimBikeQuilt 100 Quilts for Kids and–more importantly–to be donating this quilt to Peaceful Paths. This organization in Gainesville, Florida, (my hometown) provides support to women and children who are survivors of domestic violence. This entry was posted in Giving back, kids stuff, Modern Quilt Guild, quilts and tagged charity quilt, modern quilt, quilts for kids, star quilt on September 5, 2013 by brigitdermott. I could have sworn I already commented on this! Maybe elsewhere. Anyway, I’m doing a 100 Quilts parade of quilts and wondered if I could share a picture of this one next week on my blog, linking back here, etc. Happy sewing, and I Love this quilt. Absolutely–that is so nice! You replied to my comment on your blog 🙂 I was really happy to be part of this drive. This is my first charity quilt and it was such a rewarding project. Thanks! 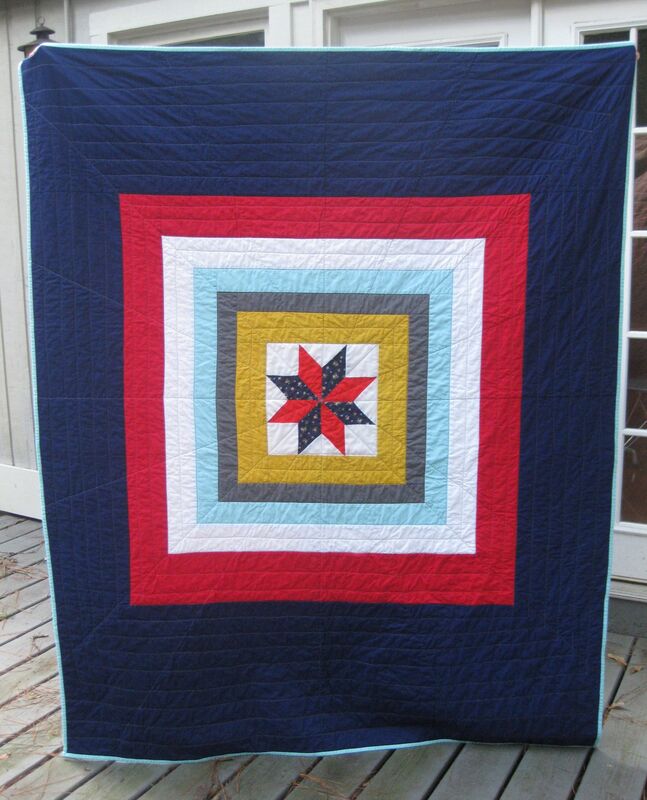 Love the clean fresh design and the quilting is perfect. I love your quilting! It’s perfect for the pattern! Thanks, Amanda! I didn’t mark the lines–yay–but it got a little crooked in one place–boo. It’s all part of handmade charm, right?